Despite all the bumps along the road since its inception in 1946, democracy in Turkey has now managed to survive for more than half a century. In a Muslim setting, this democracy has owed its longevity to its secular underpinnings—the separation of state and religion. Today, though, this system faces its most serious challenge yet from the ruling Justice and Development Party (AKP) and its leadership. Our country is quickly drifting away from a functioning democratic regime toward a manifestly authoritarian and intrusive one built around the whims of a single individual in power. The AKP leadership, ruling Turkey since 2002, has been systematically undermining our democracy by exploiting the sectarian ideology of Sunni Islam for political ends. The separation of powers and checks and balances written into the Turkish Constitution have been blatantly brushed aside. The judiciary is no longer independent and the legislature routinely carries out the directives of the prime minister. Freedoms of speech, of assembly and of the press no longer apply in Turkey. My country has one of the highest numbers of imprisoned journalists in the world; Reporters without Borders ranks Turkey 154th out of 179 countries in terms of press freedom. Peaceful demonstrators invariably encounter police violence. Extensive wiretapping is a fact of life. Meanwhile, the country is being increasingly polarized along sectarian, ethnic and gender lines. These divisions are exacerbated by the highly skewed wealth distribution among different socioeconomic classes, as well as between the different regions of the country. The government leadership seeks to dictate how many children families should have, how they should be brought up, educated, how they should behave in public, and what they should wear, eat and drink. The reaction against this heavy-handed intrusion finally erupted in demonstrations across the country over the summer. The turmoil was triggered by events at Gezi Park in Istanbul in May, with a peaceful protest against a government decision to turn the park into a shopping center. The demonstrators’ demands were straightforward and powerful: democracy, freedom and a plea for the government to stop interfering in people’s lives. The government responded with a brutal crackdown against the demonstrators, using tear gas and other chemical agents that resulted in several deaths and thousands of injuries. Thousands more now face jail terms. Accountability of the government to the public is an ongoing responsibility that should go far beyond holding elections every few years. A leader who calls fellow citizens exercising their right of assembly and protest "marauders," as Mr. Erdogan dubbed this summer’s protesters, has no respect for people’s freedoms. 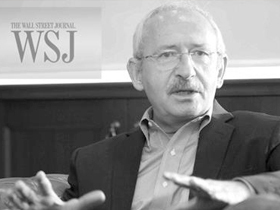 A leader who creates and controls a judicial system that puts innocent people behind bars for long periods of time while awaiting sentencing, and then instructs the courts to convict them on fabricated charges, has no notion of justice.All this adds up to a simple truth: Turkey’s current government is democratic in name only. It has the trimmings of democracy, but is in fact a system run by dictatorial means. A leader who describes the separation of powers as an "error in the system," as Prime Minister Recep Tayyip Erdogan did last year, and who views a parliamentary majority as a license to rule by fiat, has no place in a democracy. History tells us that even democratically elected leaders, unless checked and balanced by the instruments of democracy, can turn into dictators. My Republican People’s Party (CHP) is committed to working toward the restoration of genuine democracy and fundamental freedoms in Turkey. This will require renewing representative democracy in Turkey through reforming the political system from the bottom up, enhancing participation in politics and further empowering women and youth. Our goal in the CHP is to provide the highest quality of life for our citizens through participatory democracy, a commitment to sustainable development and creating equal opportunities for all. We want to lead the country in writing a new constitution in accordance with these universally embraced values. The CHP’s aim—a vision we will share in detail with our American friends during my upcoming visit to the United States—is to rebuild that sense of cohesion based on equal rights for all and national solidarity. We will once again restore the separation of powers and restore the public’s faith in the justice system. Accomplishing these tasks would not only mend Turkey’s tormented social fabric, but would also help the country to secure its place within the sphere of modern democratic societies. 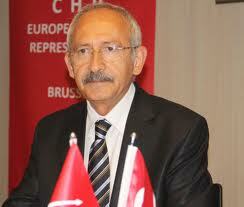 Mr. Kilicdaroglu is the leader of Turkey’s Republican People’s Party (CHP).